The beauty of social media is that anybody can harness its potential if you have the know-how and the right tools. In order to set up an effective social media strategy, a basic understanding of the relationship between business and social media is needed. To help you, we have compiled the top 10 social media marketing tips for small businesses. Before social media became a platform for selling products, the selling relationship for businesses looked like this: listen, help solve problems, and make the sale. The most valuable lesson we can teach you is to pay attention to what your followers are saying on social. Monitor social channels, looking for mentions of your brand, mentions of competitors’ brands, or any questions or complaints about products or services offered. Use their comments as feedback to improve your offering, and create content, like blog posts or eBooks, based on their most frequently asked questions. Each social network has a different type of audience engagement to offer. Depending on what your objectives are, leverage the different platforms like Facebook, Twitter, and LinkedIn and use them to your benefit. For example: Facebook is better for engaging an existing community of customers or fans of your brand. Use this to gather feedback, celebrate customers and upsell products. Twitter, however, is a fast and realtime information source which can be used to fnd new customers talking about their needs. If you are listening closely you will soon notice that your followers will express some sort of need or problem. This is your chance to demonstrate your expertise. Engage with those followers with timely answers to their questions, pointing them to places on your website where they can fnd help, or enticing them with products or services you sell. 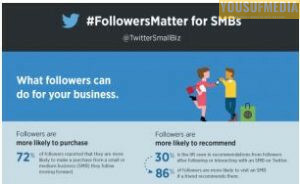 Twitter can help your business build relationships with customers, and connect you with the businesses and communities you are interested in. 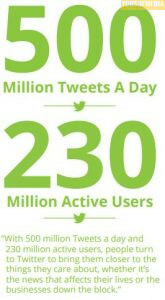 You can also use Twitter to create brand awareness, market new products and gain feedback from your customers. 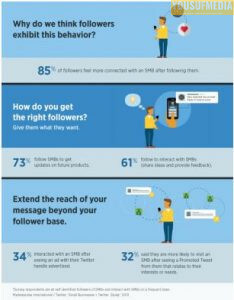 In an infographic Twitter released this year they found that once someone follows your business on Twitter, they’re much more likely to turn into customers. Those followers turned-customers also end up driving traffic to your sites, which becomes the best kind of recommendation.or services you sell.  Find experts and thought leaders in your industry and follow them.  Tweet content that is interesting and relevant to your target audience.  Give customers promotions and incentives to follow and share.  Create a single official hashtag – something concise. The TV show Glee uses #glee so that the conversations around the cast and episodes are easy to follow and organize.  Monitor your social feeds and reply to your followers questions with thoughtful responses that can help them.  By promoting your Twitter account on your previously established channels, it opens up a real time way to communicate with your audience. In social media, quality is more valuable than quantity, so choose to follow people that you can build relationships with. Also, if someone follows you, only follow them back if they are a potential customer or someone that is relevant to your business. There is no magic number of tweets or sure-free content strategy that works everytime. The best strategy is to test and learn to see what feels right for your business. There is no exact science to optimized tweet times, but generally it refers to the time of day when your posts will receive the maximum level of engagement. Your posts should go out at a time when your audience is active so they receive a higher level of visibility. The tools below will help you choose what time you would like to send messages. 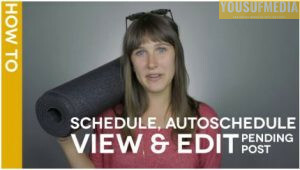  With Hootsuite’s Hootlet, you can either manually schedule your messages or use the AutoSchedule.  The AutoSchedule feature schedules your messages for you, based on optimal tweet times. 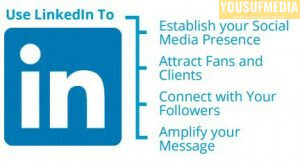 LinkedIn allows you and your business to connect to a massive network of professionals, industry leaders, potential hires and clients in a specific, brand-focused way. As a result, LinkedIn is inherently valuable to your career. A great resource for social media thought leadership is the LinkedIn blog — a library of innovative social content written by some of today’s leaders. A LinkedIn Company page enhances a company’s presence, and allows them to engage with a wider range of customers and prospects. A Company page also helps LinkedIn members learn about your business, brand, products and services, and job opportunities. Any LinkedIn member can follow a Company page. LinkedIn Company pages also help businesses drive leads at a larger scale, showcase their story, and engage with their followers. With Hootsuite, LinkedIn Company page management is made more efficient and effective for teams and departments using social media. Facebook is another social network that you can take advantage of with your small business. Alongside Twitter and LinkedIn Company pages, create a Facebook page that showcases your brand. To build your Facebook fan base, you need to be posting content that is interesting and relevant to your target audience. 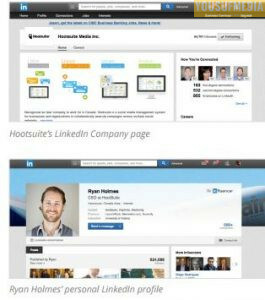 Photos, faces and videos always perform better, and can easily be added to posts from within the Hootsuite dashboard. It You probably shouldn’t exceed 1-3 Facebook posts per day. Aim for quality over quantity. Set a tone for your posts and add your brand’s personality by speaking about topics your audience cares about. Treat your social media marketing strategy as the front page of your business. Your Facebook, LinkedIn, and Twitter profiles are often the first point of contact a potential customer has with your business. Use this to your advantage and put your best foot forward. Post content that is thoughtful, authentic and fts within your content strategy. Keep your marketing plan in mind and engage with your customers on a personal level to build relationships. Your customers want to know they are speaking to a real person, so keep your communication authentic.